I keep my skincare quite simple. Occasionally I would add masks here and there but these are the bare necessities. Before anything else, I always make sure to remove my makeup with the Garnier SkinActive Micellar Oil-Infused Cleansing Water. I like that this one works to remove waterproof makeup too so I don't need a separate eye makeup remover. It has quite a strong fragrance though so those of you sensitive to it might want something else. I use 3 different cotton pads to make sure to get my face really clean. 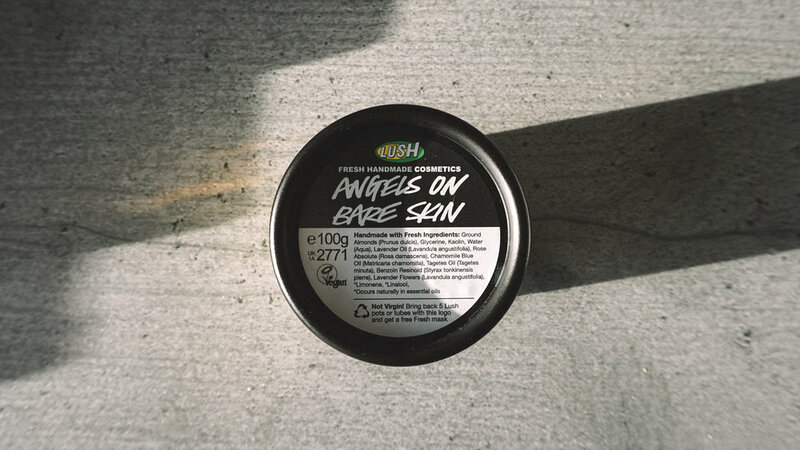 Then I follow with LUSH's Angels on Bare Skin Face & Body Cleanser. I pinch a little bit, mix it with water, and slather all over my face, avoiding the eye area. While I do prefer chemical exfoliation than physical, I found the ground almonds in this one are quite gentle. I only do this step at night since the Pixi Glow Tonic is quite potent. The 5% glycolic acid works to melt off dead skin cells and renew skin. I've got to say it is quite a miracle product! I've never felt such smooth skin and I do notice a more livelier complexion. With the use of glycolic acid, however, you need to remember to use sunscreen as it sensitises skin. Another reason why I only use it at night. Since moving to the UK, my skin has gotten really dry so I like to moisturise a lot. My secret to plump skin is mixing your favourite facial oil with moisturiser (in my case Pai Rosehip Bioregenerate Oil and Trilogy Very Gentle Moisturising Cream). I find that the oils mixed in with the cream helps them both sink in better. 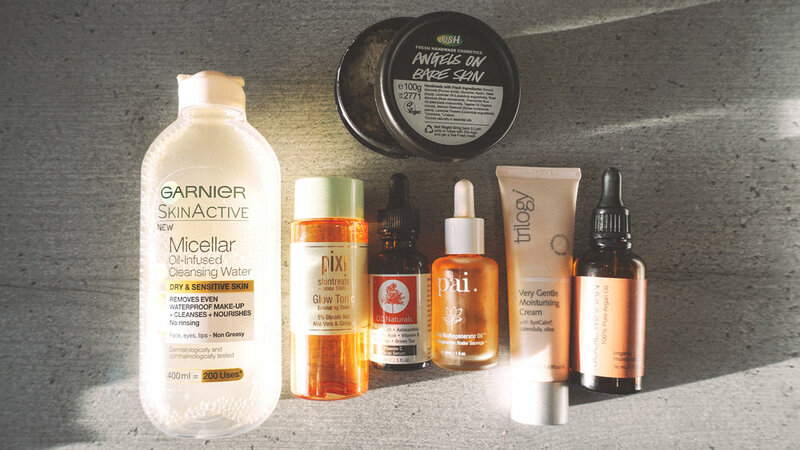 At night, I use a Vitamin C serum from OZ Naturals before this step for that extra glow, and instead use the Josie Maran Argan Oil because its super nourishing. I don't have an eye cream that I use regularly. Mainly because I feel like a lot of them cause Milia for me. Also, I haven't found one that I am crazy for and in my price range. Et voila! That is my skincare routine. It's pretty simple I think. Let me know what you think! What's worked well for you?